Do not have ample time to rank individually & organically in the top of the Google search results? We, at Possum SEO, can help your business with effective Google AdWords management through our reliable Google AdWords marketing services. Google AdWords Marketing is an effective way of getting to the top of the Google search results and thus, effectively increasing the overall web traffic and sales. Smart businesses out there understand the importance of Google Ads as a powerful means of Internet marketing. 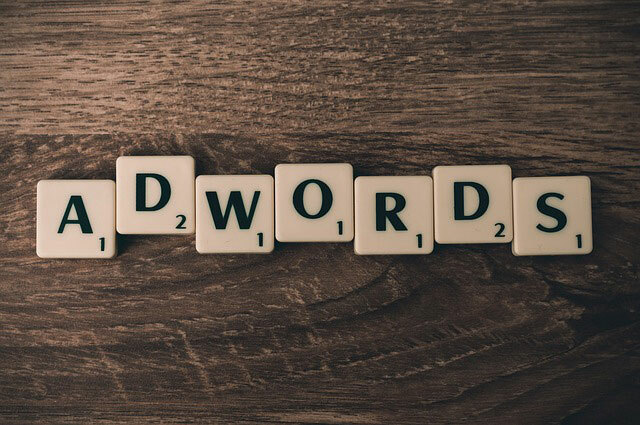 With the potential audience in thousands, the overall ROI (Return on Investment) for an effective Google AdWords marketing campaign could be great for your company. A well-managed and implemented Google AdWords marketing campaign can help in driving sales and leads with an overall positive ROI for your company. As a leading PPC marketing agency, let us help your site rank higher on the Google search results. Let our team of Google AdWords marketing experts make your paid marketing campaigns immensely successful. At Possum SEO, we help businesses in managing the effective Google AdWords marketing campaigns that will draw the potential buyers to their site. Even with a dedicated PPC marketing campaign, you are still required to compete with the other businesses in the given niche which have coveted higher ranking positions. Therefore, Possum SEO can help you overcome the existing challenges and advance your business towards effective Google AdWords marketing success. Being listed on the search results of Google turns out highly effective for the success of your online business. Our dedicated Google AdWords management services will help in bringing your site up on Google when entered into the search engine of Google. Moreover, it will also help your business in growing the overall online sales and keeping the customers coming back for more products & services. Keyword Research: The foundation of our dedicated PPC advert strategy involves effective, in-depth keyword research for ensuring solid results for your business. By determining the relevant keywords, we are able to ensure the overall effectiveness and success of your business. We help your business in coming up with the best and the most effective keywords in the given PPC advert campaign that help your business generate the best ROI. Competitive Reverse Engineering: When you are able to understand how the competitors in your niche are running the respective Google AdWords marketing campaign, it can serve to be a significant benefit for your overall business. We help you in getting an insight into the competitors and their marketing bids. Campaign Creation & PPC Advert Copy Creation: We will help your business in setting up the AdWords campaign. At the same time, we will also assist your business in creating, copying, and configuring all the respective settings for effective PPC marketing campaign. As such, this will ensure in driving maximum success for your marketing campaign and efforts. Detailed Reporting: At the end of each month, we will provide your company with a detailed review report of the advertising campaign and its success for your overall business. We will also help in scheduling a review call with your team. Why Choose Our Google AdWords Marketing Services? At Possum SEO, we aim at providing professional Google AdWords marketing and PPC marketing services to our clients in the most cost-effective manner. Through our professional services, your account gets managed by a team of highly qualified and experienced SEO professionals. Our marketing services help in improving the overall ROI for your business. Get detailed monthly reports for all your respective marketing campaigns.